This watch has it all - day, date, power reserve and 52 week display in one of the cleanest designs we've seen. 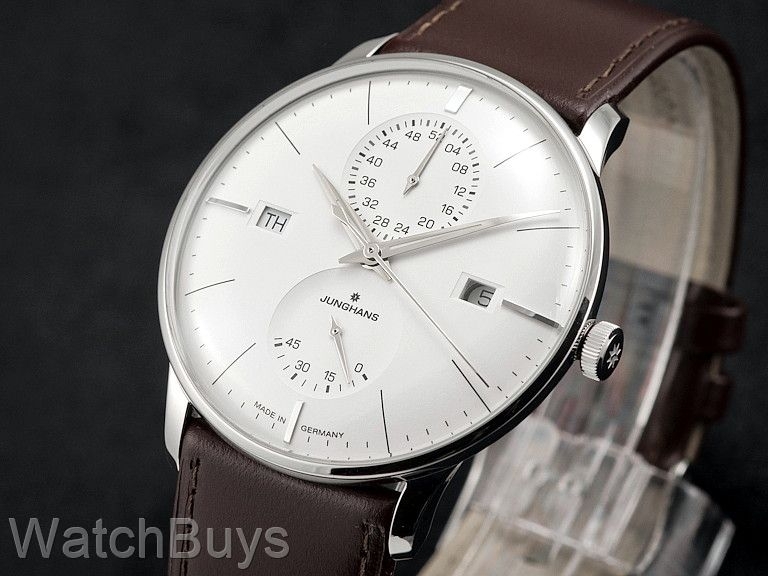 To create this watch, Junghans uses their self-winding calibre J810.5, which is based upon complications from the Soprod calibre 9075. The matte silver plated dial provides a clean and crisp look. The 52 week indicator is in a register at 12, date at 3, power reserve indicator at 6 and English day at 9 adding a symmetry to the layout. The case is in polished stainless steel, and the case back is secured by five screws with a transparent mineral crystal to view the highly decorated movement (blued screws, perlage and Côtes de Genève). 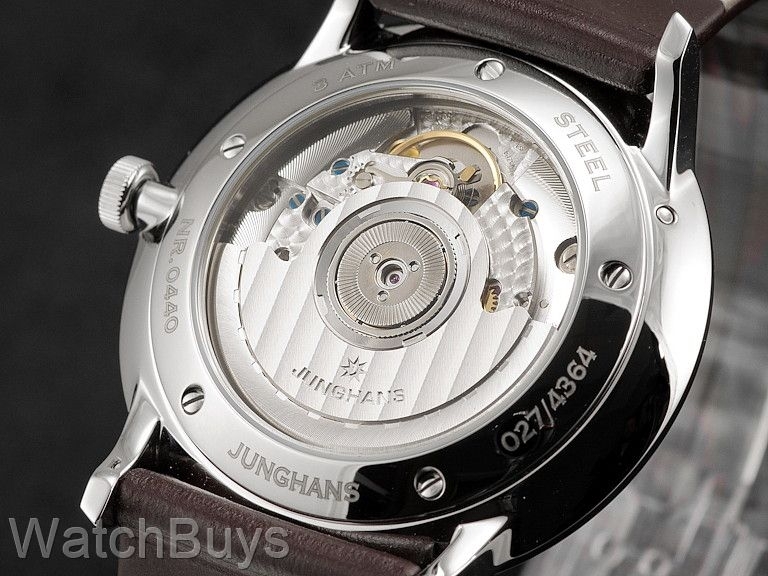 This watch is fitted with a shell cordovan strap with stainless steel tang buckle and is water resistant to 3 ATM.